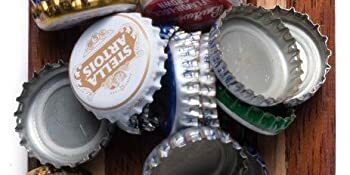 Holds over 50 beer caps! 100% Upgraded Zinc Alloy opener! 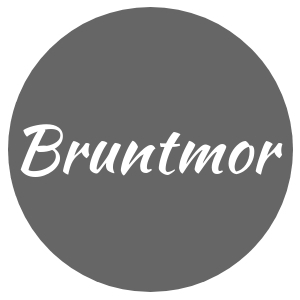 The Bruntmor CapMags wall mounted magnetic bottle opener has become a top choice among homeowners bars, restaurants and beer enthusiasts nationwide. The CapMags Bottle Opener is hand crafted from wood, with a high quality 100% Zinc Alloy opener, protected by a water resistant lacquer finish, and houses a mind-numbing super powerful magnet that holds a plenty amount of beer caps.Functionality meets superb design; all CapMags Magnetic Bottle Openers are ready to magnetically mount out-of-the-box and mounting screws are included in each package if you choose to secure the CapMags to the wall.
" I bought this because we're always looking for a bottle opener. I wasn't sure the magnets would really hold tight while we opened our beer, but this ABSOLUTELY holds to our refrigerator AND the hidden magnet at the bottom of the wood has no problem at all grabbing the caps before they fall on the ground. 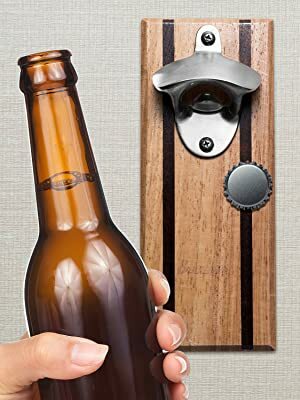 So, now we always have a handy bottle opener, were not on our hands and knees looking for lost caps, AND the wood is really nice looking and slim, so it's not some big gaudy looking block stuck to your fridge. " We facilitate tons of research to ensure that everything is top quality. A standout category is our cast iron products. We work with the best factories to make sure you get just what you asked for. With several high ranking and five-star items, we hope you can see how much we care about our products.